The town's name derives from the Latin word "Arentianis", referring to ownership of the family of Arent. 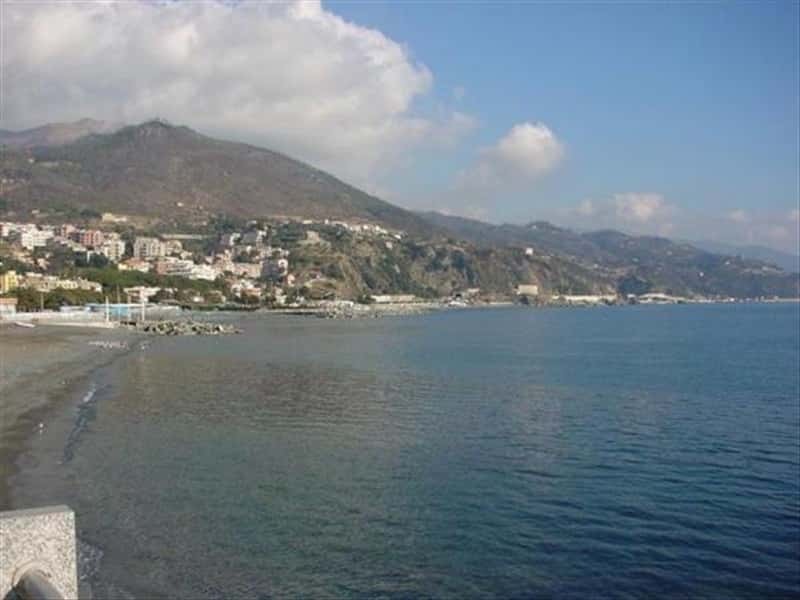 Arenzano is an important centre on the Riviera Ligure di Ponente, located in a creek, at West of Genoa, where the Apennine ridge at short distance from the sea. The bay between the coast of Arenzano and Punta Invrea is a privileged destination for lovers of diving excursions, being rich in anemones, fish species and the wreck of the tanker Haven, that is located near the port, at a depth of 70 meters. Since 2008 the area proposes an underwater exercise gym for divers, located at 15 meters of depth, it offers an area of 1200 square meters for divers who wish to practice. An important and pleasant feature of the town is the promenade shaded by palm trees. The first settlement dates to the Roman times. In the Middle Ages it was invaded by the Barbarians and X century by the Saracens. In the XII century the local economy was primarily dedicated to shipbuilding and sea-related activities. The town returned to the Genoese possessions and was divided into two groups: Arenzano soprano and Arenzano sottana.. Over the years it was repeatedly invaded by pirates, especially in the XVII century, so the inhabitants were forced to fortify the village. Arenzano was subject to French rule under Napoleon, then it was inserted into the Kingdom of Sardinia and finally in the Kingdom of Italy. The Shrine of Infant Jesus of Prague, which was built in 1904. It features a beautiful façade with niches, a rich portal adorned with columns and surmounted by a central rose window. The Shrine of Our Lady of Olives in the town of Bicocca, where already in 1600 it seems that there was a chapel dedicated to same Saint. The Parish Church of Saints Nazario and Celso, which is a reconstruction in the Baroque style of a religious building of the XVIII century. It proposes a single nave and a façade embellished with niches and flanked by two towers on both sides. The Oratory of Santa Chiara, located near the church of Saints Nazario and Celso, built in the XV century, inside it preserves an altar of the XVI century. The Church of St. Bartholomew in the village of Terralba with keeps an altarpiece of the XVI century. The Church of Saints Martin and Alexander Sauli in area Pineta. The Church of San Sebastian. Villa Negrotto Cambiaso built in the XVI century and restored in the late XIX century. A noble residence, which at present is the City's Hall. Its beautiful park, now open to the public, houses a greenhouse that features Art Nouveau works of Lambert Cusani. Villa Figoli of XVIII century, built in Art Nouveau style, surrounded by a garden of 35,000 square meters, and now belongs to the province of Alessandria. Villa Mina and Villa Maddalena. This town web page has been visited 19,596 times.